Wife, mother of two, sister, daughter, friend, volunteer, speaker, coach, mentor, author, counselor, spa junky, cheerleader, and advisor. Tiana is a vibrant lecturer, workshop facilitator, and educator with over 25 years of financial planning experience. Tiana founded Power Women Investing (PWI) in 2006 with a mission to empower individuals to gain financial independence and help them reach their most ambitious dreams. Tiana is a top producer at Woodbury Financial, which is part of the Advisor Group broker-dealer network. 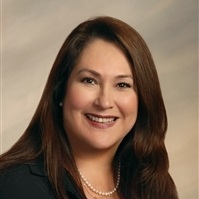 She is a sought-after mentor and speaker in the financial industry and in the Tucson community. Tiana has expertise in serving her clients through times of serious change in their lives, including pre- and post-retirement strategizing, pre- and post-divorce financial counseling, income planning, and estate planning. She is married and has two children, Mia and Larry. Emily is our "jack of all trades" and manages client on boarding experience from start to finish. Her focus is on special projects, client services, operations, marketing, and compliance. She plays the overall "right hand" to Tiana. Beyond positive about life, happiness, and joy, Emily is a wife to Mike and has 2 adorable children that we've nicknamed: Eggs & Bacon and mini Mike. Emily is also a daughter, friend, sister, aunt, and athlete. She enjoys and finds it necessary to be active every day and is an avid runner. 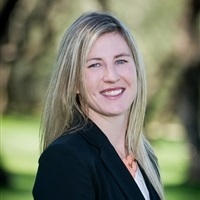 Emily Riggs is not affiliated with Woodbury Financial Services, Inc.
Ashley specializes in positive office moral and making sure client’s special days are recognized and highlighted. She is responsible for creating events, client outreach, and making sure incoming and outgoing correspondence is handled. Ashley is also your go-to for scheduling appointments with Tiana. 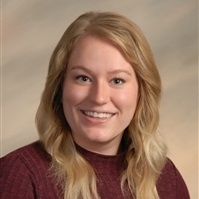 Ashley Hiatt is not affiliated with Woodbury Financial Services, Inc.
Georgina is Power Women Investing’s receptionist. She is responsible to warmly and professionally welcome everyone into the office and to provide hospitality as they wait for their appointment. Answering incoming calls, providing the same level of warmth and professionalism as if the caller walked into the office, and then connecting them with the right team member to serve their need. 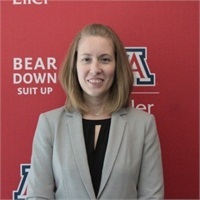 Georgina Cota is not affiliated with Woodbury Financial Services, Inc.
Elizabeth is a recent graduate of Eller College of Management at University of Arizona, and a veteran in the US Navy. She has joined us June 2018 aspiring to be an advisor and will be providing due diligence in managing asset allocation, account rebalancing, and new investment options and to help make savvy investment decisions. 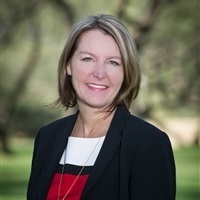 Elizabeth Smith is not affiliated with Woodbury Financial Services, Inc.
Securities and Investment Advisory Services offered through Woodbury Financial Services, Inc. [WFS], Member FINRA/SIPC and a Registered Investment Advisor. WFS is separately owned and other entities and/or marketing names, products or services referenced here are independent of WFS. All questions or concerns must be directed through the business email address or phone number listed in the profile or information section. Services are only available in jurisdictions where the Representative is licensed and registered to conduct business. Please contact the Representative or refer to their business website for a list of these states. Neither Woodbury Financial Services, Inc. nor its registered representatives or employees, provide tax or legal advice. As with all matters of a tax or legal nature, you should consult with your tax or legal counsel for advice. This is not an official site of Woodbury Financial Services, Inc., or its affiliates. The opinions expressed by participants are those of the participants and are not those of Woodbury Financial Services, Inc., or its affiliates. This site may contain links to articles, comments, or other information from a third party. Woodbury Financial Services, Inc., or its affiliates do not endorse or accept responsibility of third-party content. This content has not been reviewed by Woodbury Financial Services, Inc., or its affiliates for completeness or accuracy. This communication is strictly intended for individuals residing in the state(s) of AZ, CA, CO, FL, GA, HI, IL, IN, MA, NC, NH, NJ, NM, NV, NY, OH, OK, SC, SD, TX and WA. No offers may be made or accepted from any resident outside the specific states referenced.